Your favorite workout tunes. No distractions. Push your workouts and sports further with the WI-SP600N wireless sports headphones. With Digital Noise Cancelation, Ambient Sound Mode and a lightweight wireless design, enjoy music your way with nothing holding you back. Enjoy wireless playback with Bluetooth connectivity. See how the WF-SP600N headphones can help you get more out of your day. When you need that special playlist to take your workout to the next level, digital noise-canceling technology blocks out distractions, like the sounds of the gym. So it's just you and the beat. Ambient Sound Mode keeps you in the moment while you're moving. Mixing the music you love with the sounds of your environment, enjoy your favorite tracks and still hear your workout buddy or stay aware of your surroundings when running outside. Comfortable, secure and sweatproof, the WI-SP600N headphones are ready to take on anything. With an IPX4 rating, splashes and sweat won't stop these headphones-or your workout. 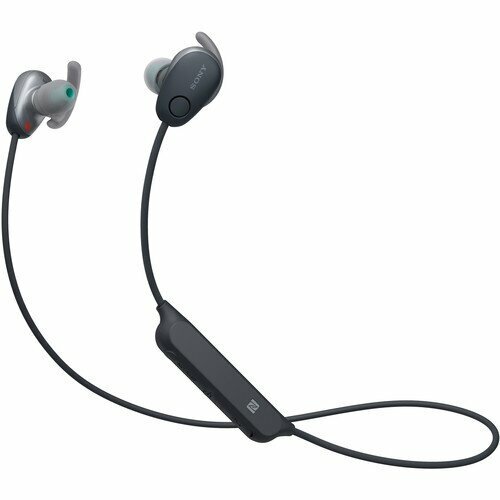 Extensively tested in real workouts, these earbuds come in four sizes for a secure fit that adjusts to your ears. Plus, an arc support fitting makes sure they stay comfortably in place. 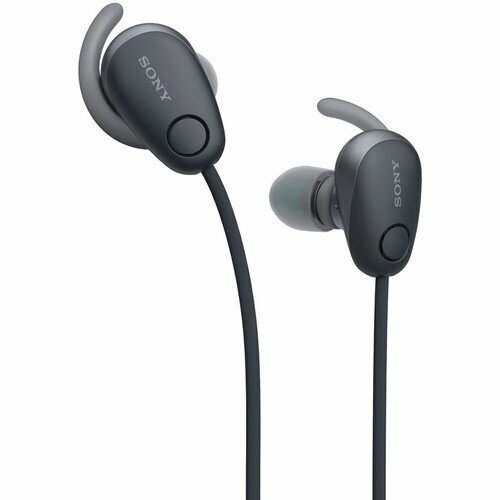 Choose your favourite settings for Noise Cancelling and Ambient Sound Mode with Quick Sound Settings in the Sony | Headphones Connect app. And activate them instantly with two taps of the headphone button. Boost your beats - and your performance. EXTRA BASS delivers powerful, punchy low-end sound, giving you the drive to keep going. Take calls, make calls and talk to voice assistants without having to pause what you're doing. 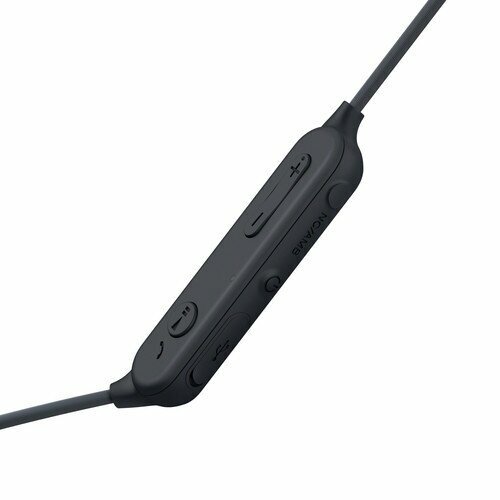 The WI-SP600N headphones will be optimized for Google Assistant with an update. Ask it questions, tell it to do things -it's your own personal Google, always ready to help. Get in a few trips to the gym without having to power up, thanks to up to 6 hours of playback from a single charge. Stream effortlessly with Bluetooth connectivity and NFC One-touch listening. Near Field Communication (NFC) technology makes complex set-up sequences a thing of the past. Simply touch selected NFC-enabled devices to the on-body N-mark for a quick, seamless connection, then start streaming content via Bluetooth. No NFC? No problem. You can still manually connect to Bluetooth® using your device's settings menu.